OB's Research Editor navigates the labyrinthine world of pharmaceutical drug pricing. As a consumer of the U.S. health care system, I am always aware of how expensive it can be to get treatment. High deductibles, insurance premiums, co-pays — the costs add up. But then I was recently confronted with the exorbitant price of drugs; costs so high it made me realize why the price of medications is one of the main reasons U.S. healthcare is so costly. I am familiar with high drug prices because of treatment I am receiving for ulcerative colitis, an inflammatory bowel disease. I was diagnosed more than a decade ago during a bad flare, but my symptoms were put into remission with generic drugs, and I have been symptom-free for the past 13 years. That was until about a month ago when symptoms of the disease returned. Unfortunately, a cheap, generic corticosteroid drug, Prednisone, commonly used for autoimmune diseases like ulcerative colitis, hasn’t got rid of my symptoms. My doctor recommends I take Remicade instead, a brand name drug made by U.S. pharmaceutical company Janssen Biotech, a subsidiary of Johnson & Johnson. The drugmaker has few competitors for its Remicade drug, which is also used to treat common autoimmune conditions, such as arthritis. The lack of competition is one of the reasons why it is so costly. Remicade, which has to be given intravenously, costs around $1,000 for a 100-mg vial. The total cost of several courses of treatment I will need this year will come to around $16,000. Fortunately, I have health insurance that will partially cover the cost after I pay a deductible. I am also enrolled in a drug cost savings program that limits out-of-pocket costs for the drug for holders of private or commercial insurance. My insurance coverage and the prescription drug savings program shields me from the commercial cost of the drug. But the financial impact of such high medication prices — and there are many examples of exorbitantly priced brand name drugs — on the rest of the health system are well documented. The costs are absorbed by the insurers and health systems, and are ultimately passed on to employers and consumers in the form of higher premiums. Occasionally, the soaring costs of medications in the U.S. hit the headlines, sparking outcry for reform. A well-known example is when drugmaker Mylan last year increased the price of its allergy medication EpiPen by 600%. The U.S. is an outlier among industrialized nations when it comes to high drug prices. In Europe, governments control prices. In the U.K., for example, the government will only pay for medicines that it deems cost effective. In the U.S., pharmaceutical companies can charge what they want for medications. Private insurers and the government then negotiate prices down. But a federal law prohibits Medicare, the government health program for seniors and the largest user of prescription drugs, from negotiating drug costs. The result is that prescription drug prices remain high, accounting for more than 20% spent on insurance premiums — the largest part of insurance costs. Both Republicans and Democrats support drug pricing reform, but pharmaceutical companies successfully lobby against price controls. President Donald Trump railed against drug pricing practices during his election campaign. His administration has not yet put forward a specific plan to address the issue. In Oregon, lawmakers are attempting pricing reform through new legislation. But it is unclear how House bill 2387, the Oregon Affordable Drug Prices Act, which is currently sitting in committee, will advance. The legislation would require drugmakers to pay the Department of Consumer and Business Services the cost of prescription drugs that exceeds a specific threshold. These payments would then be used to reimburse insurers, third party administrators and others. Pharmaceutical companies would also be required to report information about prescription drug costs. Several Oregon businesses support the legislation, including large health insurers Providence Health Plan, PacificSource and Moda Health. 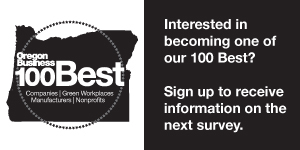 The Oregon Association of Hospitals and Health Systems (OAHSS) is another advocate. “OAHSS joined in advocacy for lower pharmaceutical prices because hospitals are among the largest consumers of pharmaceuticals. Rapid price increases in existing products harm patients and hospitals and do not create value for the overall health of Oregonians,” said Philip Schmidt, associate vice president for public affairs, in an email. Pharmaceutical companies argue the prices they charge for drugs is justified because of the research costs of developing life-saving drugs. They also claim price controls can limit patient access to medicines. Caitlin Carroll, a spokesperson for PhRMA, a trade assocaition representing pharmaceutical companies, emailed the following statement explaining why it opposes HB 2387. “In its current form, this proposal would primarily benefit insurers without providing any requirement that they pass those savings onto consumers. While the bill’s proponents have assured constituents that savings will be shared, anyone who has seen their premiums, deductibles and out-of-pocket costs rise in recent years knows that more and more of health care costs are being pushed onto patients and families. As we’ve seen in other countries that have imposed similar price controls, unsustainable pricing models result in significantly reduced access to innovative, life-saving medications." Johnson & Johnson made $18.8 billion in sales in the second quarter of 2017, and net earnings of $1.3 billion. Do the profits pharmaceutical companies make justify the lack of price controls that businesses and consumers in the U.S. have to bear? In Oregon, the pushback is gaining momentum. The question is whether Big Pharma lobbyists will win over lawmakers.